PJ’s Corner Gift Shoppe is where paper comes to life! Give your kids a toy that has been popular for generations. Young children have been playing with paper dolls for centuries. At PJ's Corner Gift Shoppe, we make and sell a wide variety of paper dolls. 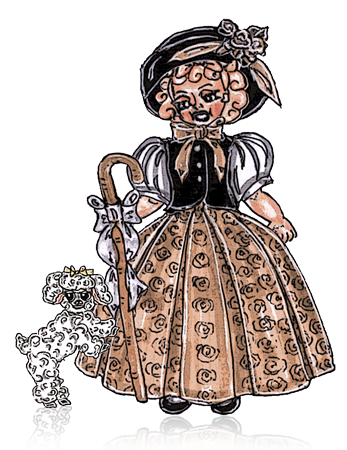 We have everything, from dolls that look like your child to international dolls with fashions from around the world. 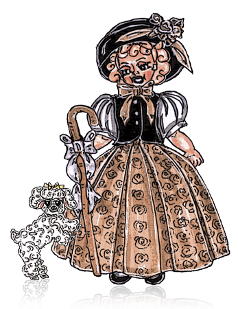 Our shoppe also offers a range of other gifts including bookmarks, greeting cards, paper doll greeting cards, paper doll story books, stationary and stickers, all with our matching designs. 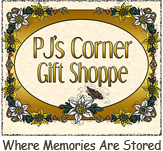 PJ's Corner Gift Shoppe is an online treasured outlet of nostalgic, handcrafted items that help people keep in touch with their family, friends, and acquaintances. All of our designs are created with family in mind and use the artwork of our in-house artist, Phyllis Mae Richardson Fisher. Her daugher, Janey Loree Fisher Paschal, designs everything, from the books for kids, the paper doll books and greeting cards to the matching stationery. 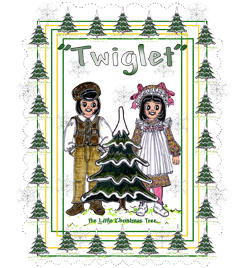 Our online gift shoppe is the home of Twiglet: The Little Christmas Tree, a children's book about discoveries, miracles, and friendships, our very first paper dolls, PJ's Family Friends, the first animal paper doll, Neddy, the Little Teddy, and personalized PJ's Universal Paper Dolls all created in PJ's Paper Doll Factory™. We offer individual gifts for $25 or less. Our artist, Phyllis Mae, and designer, Janey Loree, a mother and daughter team, who own PJ's Corner Gift Shoppe, invite you to step into the past as you prepare for any special occasion from Birthdays to Christmas or Just Because! Children's Storybooks, Paper Doll Books and Paper Doll Coloring Books and Paper Doll Greeting Cards found in PJ's Bookcase. Bookmarks, Greeting Cards and Stationery that are found in PJ's Rolltop Desk. And in PJ's Paper Doll Factory you will find a list of all PJ's Paper Dolls, Poems and matching products. Browse through our selection of handmade items and find the perfect gift for everyone on your list. For any questions contact Janey Loree. Phone - Monday through Friday - 9am to 5pm.